Home Short Sales How to Buy a Short Sale? A short sale is a process in which the bank allows a borrower to sell their property and pay off their debts at a discounted price. There are many people that think that a Short Sale is the same thing as a foreclosure, however that isn’t true. In a foreclosure, the court issues an order for the property owner to sell the property. In a Short Sale the property owner sells the property themselves after getting permission from the bank to do so. A Short Sale cannot take place without first getting permission from the bank. If you want to list your property for a Short Sale you will need to talk to the bank first. This is because they need to give the go-ahead to list the property, and may even give you a price that they will accept. (However, this rarely happens, and many Short Sales are approved but then there is a lot of back and forth before they decide on an acceptable price). There are a few advantages to a short sale, especially if you are an investor. As an investor, you can benefit from the purchase of a Short Sale because they are generally sold below market value. As a seller, a Short Sale benefits you because you will wind up with more money in your pocket than in a foreclosure situation. In a Short Sale, the extra debt is forgiven, however in a foreclosure, you still are held accountable for that extra debt and don’t see any of the money from the sale. In the case of a buyer, the main disadvantage of a Short Sale is the time involved. Short Sales generally take a lot more time to close that normal real estate transactions. This is because it is not a simple transaction between the seller and buyer. 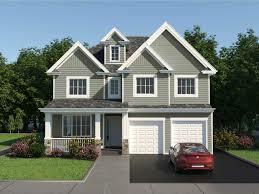 A Short Sale is between the seller, buyer and the bank which holds the mortgage. In the case of the seller, the main disadvantage is you will likely suffer a small loss on the sale of the property. However, it should be noted that it is always better than a foreclosure where the chances of the seller having anything left over from the sale are slim to none. The first thing you should know before you get involved in a Short Sale is your budget. You need to realize that many Short Sales, while selling for under market value, often need some extra investment to get them the way you want, or in some cases, to be livable. You should plan on setting aside a certain amount for repairs and upgrades you may wish to make to the home. You need to be sure of the actual value of the property you are purchasing. You will need to compare the property to other similar properties being sold in the area, what condition it is in and many other factors before deciding if you wish to purchase. This can be a very daunting task if you do it yourself. However, professional real estate agents do this every day. Simply ask us for a CMA (current market analysis) on the property you are interested in, and we can do all the hard work for you and give you an accurate report which will help you decide if the property is a good deal or not. We cannot speak for other agents out there, however our motto is “The client comes first”. This means that we always look out for the best interests of our clients, even if it means telling them to walk away from a property and a commission check for us. We know the ins and outs of the Short Sale process, things to avoid, and tell tale signs of a “good deal”. So take our advice, relax and let us do the dirty work. One of the most important things to remember during the Short Sale process is to have all your paperwork in order. This means you need to have the offer signed, all disclosures acknowledged, and of course you need your proof of funds or pre approval letter lined up. Without these documents the Short Sale process will take much longer as the process will come to a halt every time one of these things is missing. This can add weeks or even months to the Short Sale process, so always have everything ready when you submit an offer. Short Sales take longer than normal real estate transactions, sometimes up to a year. Short Sales may not be approved for the amount of money you offer, even if at list price. Short Sales may be priced below market value, but you may need to put in more to get the property the way you want it, putting the price above market value. All Short Sales require bank approval before closing. Short Sales are not a simple process, and you will always need help from an experienced agent to successfully execute them.